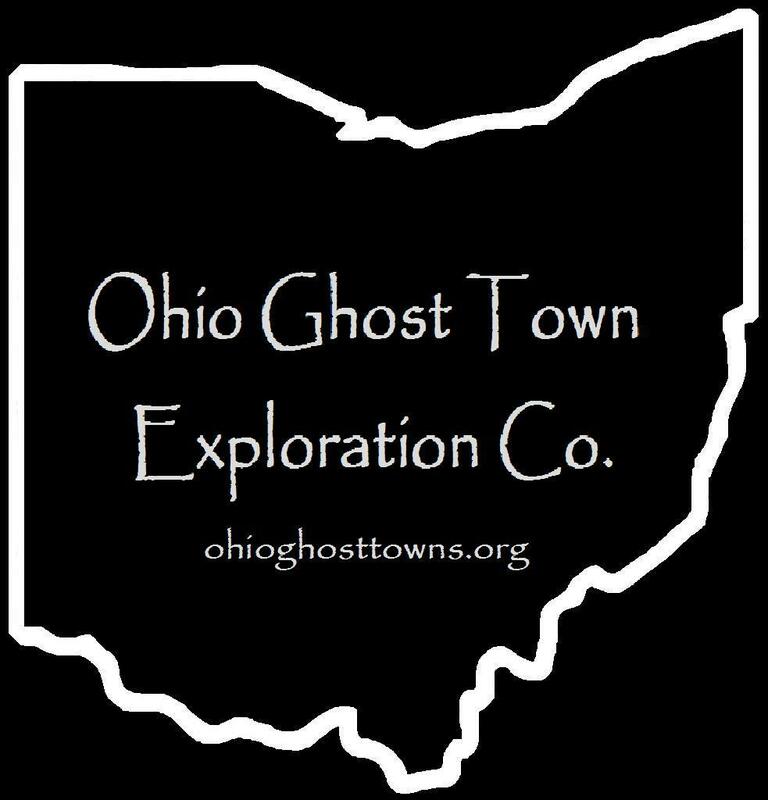 Cuyahoga County – Ohio Ghost Town Exploration Co. Description: Nathan Alger (1765 – 1813) & Priscilla (Peet) Alger Woodworth made the journey to Ohio from Litchfield County, Connecticut & arrived in Rockport Township on June 7, 1812. They were the first settlers in the area & had 7 children. Priscilla remarried after Nathan passed away. He is believed to the the first person of European ancestry who died in the township. The cemetery was officially established in 1828. Alger Settlement had a steam powered saw mill in the 1850s & a general store, toll house, & 2 churches in the 1870s. The town was mentioned in the 1879 History Of Cuyahoga County, but fell into obscurity by the 1900s. Description: The area around Brighton was settled in the 1810s. Warren Young (1787 – 1832) platted the town & it had some later additions. Samuel Barstow incorporated Brighton in 1837. He was the town’s first postmaster & ran an education academy that didn’t last long. Brighton’s first store opened in 1840. The village failed to attract a railroad & had its ups & downs with growth. By the 1870s the population was about 800. It had a wagon factory, hotel, 3 churches, a school, tannery, & several other small businesses. Brighton Cemetery was purchased by the City Of Cleveland in 1906 & merged with Brooklyn Township & South Brooklyn Cemeteries to form Brookmere Cemetery. Many early residents, including Warren Young & members of the Barstow & Brainard families were buried there. Description: Asher Coe (1789 – 1867) & Abigail (Wilcox) Coe (1790 – 1876) were married in Connecticut in 1814, had a few children, & moved to Ohio in 1823. They bought a farm & founded Coe Ridge in 1824. Asher was the town’s first postmaster until 1864. Coe Ridge had a hotel, school, church, & many residences & small businesses lined along SR 10 & SR 252. Asher & Abigail were buried with relatives in Coe Ridge Cemetery. It was established in 1845. Description: The town was founded by Scottish immigrants George Cowan (1825 – 1907) & Mary (Forbes) Cowan (1828 – 1911). They had 9 children & a 200 acre farm along the Cleveland, Canton, & Southern Railroad. George was also a trustee of the First Baptist Church in Bedford. The Cowans were buried with relatives in Bedford Cemetery on SR 14 (Broadway Ave). Description: It was a farming & mill town founded by the Frost family in the township. The museum hosts events & is run by the Olmsted Historical Society. Its church on the property is available for wedding reservations. There’s more info on their website olmstedhistoricalsociety.org/. Some of the members of the Frost family were buried in Butternut Ridge Cemetery on Butternut Ridge Rd south of the GPS coordinates. Description: General James Griffith built a sawmill in the early 1830s & had high hopes of starting a flourishing town. About 20 residences popped up along the river & the town had a blacksmith shop, school, general store, & a few other small businesses. It couldn’t keep up with Chagrin Falls, Solon, & Bentleyville though & faded out of existence in the mid 1800s. Description: It was named after a branch of the Horst family in the county. The post office name changed to Miles & remained in operation until 1903. Description: This short-lived village was established in 1895. Description: Stephen & Marie Comstock ventured from Connecticut to Ohio in 1814 & raised the first large family in the area. Moses Gleeson (1782 – 1868) & Polly (Richardson) Gleeson (1789 – 1870) from New York arrived in 1818. They had 10 children & were the richest landowners in Little Egypt, naming the town after a pyramid shaped mound on their property where the family established its cemetery. Moses & Polly owned a couple of mills, a distillery, & constructed the “World’s End Tavern”. It was two houses combined together, one side for the family & the other side for lodgers, aptly named as it was situated on a steep hilltop overlooking Tinkers Creek. After running the tavern for several years, the Gleesons built a nice two-story brick house on the south side of Tinkers Creek in 1840 & a steam powered saw mill in what’s now the Hermit’s Hollow Picnic Area in the Bedford Reservation of the Cuyahoga Valley National Park. The New York Central Railroad was built through town in the early 1900s. Little Egypt turned into a resort community with small cottages lining the streets & creek in the mid-1900s & the town was annexed into Walton Hills in 1951. The Walton Hills Historical Resource Center conducts tours of Little Egypt, usually in March & May every year, meeting in the Hemlock Creek Pavilion parking lot in the Bedford Reservation. The Comstock family was buried in Tinkers Creek Cemetery & most of the Gleeson family graves were moved their former land to Bedford Cemetery on Broadway Ave in Bedford. Description: This small town was along the Lake Erie & Pittsburgh Railroad & had a freight yard. Marcy Trestle was constructed in 1907 by the King Bridge Company of Cleveland. It’s still in use by CSX & dozens of trains roll across it on a daily basis. There’s a few good spots around the canal park for viewing & photographing the trains. Description: Although Mill Creek is still a populated area & pops up on Google Maps, it’s not considered to be a present town. It had several mills dating back to 1799 when the first grist mill was built in the county & in the Western Reserve at the creek falls. It was constructed by Major Ezra Wyatt (1772 – 1851) from Newburgh, New York & William Wheeler Williams (1760 – 1831) from Hartford County, Connecticut. Iron for the mill was supplied by the Connecticut Land Company & the grinding stones were acquired from a quarry on Mill Creek. A saw mill was added to the site in 1800. Newburgh Village popped up around the mills but was annexed into Cleveland’s 18th Ward before the 1874 county atlas was printed. Ezra was buried with relatives in Brecksville Cemetery on Highland Dr & William was buried with relatives in Harvard Grove Cemetery on Lansing Ave. There’s also a small park at the falls on Webb Terrace. Description: It was founded by a branch of the Pardee family in the county. Description: The town was founded by Sylvanus Phinney (1778 – 1852) & Lucy (Kingsley) Phinney (1782 – 1843) who moved Ohio from Becket, Massachusetts in the early 1810s. Their son Calvin (1809 – 1870) took over proprietorship of Phinneys Corners & ran the post office, general store, & a tannery on his property on the south side of the intersection at the GPS coordinates. The post office was called North Dover. Sylvanus was married twice & had 10 children. In the 1870s, Calvin’s son Alberto Phinney was operating the general store & post office. East of the main intersection & on the north side of SR 254, Charles Brenner (1830 – 1893) had a hotel & grocery store at his residence. It was at the same spot as the present day Dover Gardens Tavern at 27402 Detroit Rd. The tavern building was constructed in 1890 & Charles’s son George inherited the land. It closed in 2014 after the driver of a stolen pick-up truck crashed into the building & injured 12 people inside. The tavern has since been reopened. Saint Paul Lutheran Church congregation formed in 1858 & established a school & the cemetery in the 1860s. Its former wood frame church was constructed in 1877 & was replaced in 1973. The Phinney family & Charles Brenner were buried with relatives in Evergreen Westlake Cemetery on SR 113 (Center Ridge Rd) south of town. Description: It was near Strongsville & was named after the Sprague family in the county. Description: Town House Corners had a Union Church built around 1835 & a few residences & small businesses. The church was also used as a local meeting hall. Description: It was platted in 1837 & named after John Willey (1797 – 1841), Cleveland’s first mayor from 1836 – 1837. The town was instrumental in connecting roads in the area to make travel in & out of Cleveland’s south side much easier. Willeyville didn’t last very long though & didn’t make it onto the 1858 county map. John Willey was buried with relatives in Erie Street Cemetery on E 9th St in Cleveland. Little Egypt was named after an odd mound structure on the Gleeson homestead that was once described as being pyramid shaped. The area was purchased by the Connecticut Land Company in 1795. A second land survey was conducted in 1797 during which Captain Joseph Tinker, the lead boatman, drowned with a few other men in what was later named Tinkers Creek. Crude roads were quickly built for travelers & settlers, but no one wanted to move there yet as there was nothing to move to except the land itself. The first settler was Elijah Nobles who made the trip from Connecticut in 1813. He didn’t own any of the land but was given rights to live there by the Hudson family that established Hudson, OH as long as he promised to make improvements. A cabin was built for him at the present day site of Tinkers Creek Road Tavern by his closest neighbors that lived 3 miles away. Elijah didn’t like living so reclusive though & moved in 1814 to what would eventually become the village of Bedford. In 1815 more settlers were making their way from the New England states & a combination saw & grist mill was built on Tinkers Creek that year. The Gleeson family arrived from New York in 1818. Moses Gleeson (1782 – 1868) & his wife Polly (Richardson) Gleeson (1789 – 1870) raised 10 children, all born in Ohio, & became the second prominent family & richest landowners in Little Egypt. They purchased the mill which already had its lumber section converted into more room for grinding grain. Production & sales went very well, so Moses & Polly used the profits to begin their next venture. Moses & Polly then built a nice 2 story brick house on the south side of Tinkers Creek in 1840 & a steam powered saw mill in what’s now the Hermit’s Hollow Picnic Area in the Bedford Reservation of the Cuyahoga Valley National Park. They also constructed a distillery on the former grounds of Astorhurst Golf Course on the west side of Dunham Road. At that time, the Gleesons owned all of the land immediately east & west of Dunham & Egypt Roads. The 1900s brought many changes & people to Little Egypt. Construction of The New York Central Railroad began in 1904. Workers & engineers were brought in to build two trestles around town. Trains rolled through from 1911 to the early 1960s. Dunham & Egypt Roads were merged in 1907. Clara Gleason sold off the family land to Philip & Mary Astor in 1918. A tavern opened at the old blacksmith shop cabin in 1926 & was owned by Charles Benada. Philip & Mary also operated a day care center & restaurant in the old Gleeson house next to Tinkers Creek. A horse riding academy that opened in 1935, a beer garden, & a new general store in the 1940s helped kept the economy going. In that era, cottages lined the streets & creek in town, creating a sort of touristy look. However, the much faster & more modern growing town of Walton Hills ended up overtaking the area & spelled the end for Little Egypt in 1951. There are still several remnants of Little Egypt left around the Bedford Reservation though. Charlie’s Tavern is still open & is now Tinkers Creek Road Tavern & the old lockmaster’s house is a visitor’s center for the reservation. The Edmund & Charlotte (Comstock) Gleason House (Clara’s parents), built in 1851, is at 7243 Canal Rd in Valley View, OH. It was added to the National Register Of Historic Places in 1978 & currently houses the Canal Corners Farm & Market. A few of the gravestones are still intact in Gleeson Homestead Cemetery on top of the hill East of Dunham Rd across from the Astorhurst Golf Course. One of them is the gravestone of a grandson of Moses & Polly, Edmond Gleeson, who died on October 26, 1851 at 13 years & 11 months old. Most of the bodies were moved to Bedford Cemetery on Broadway Ave in Bedford, approximately 8 miles East of Little Egypt. The Comstocks & other early settlers were buried in Tinkers Creek Cemetery on the north side of Tinkers Creek Road east of Canal Road behind Valley View Village Church.